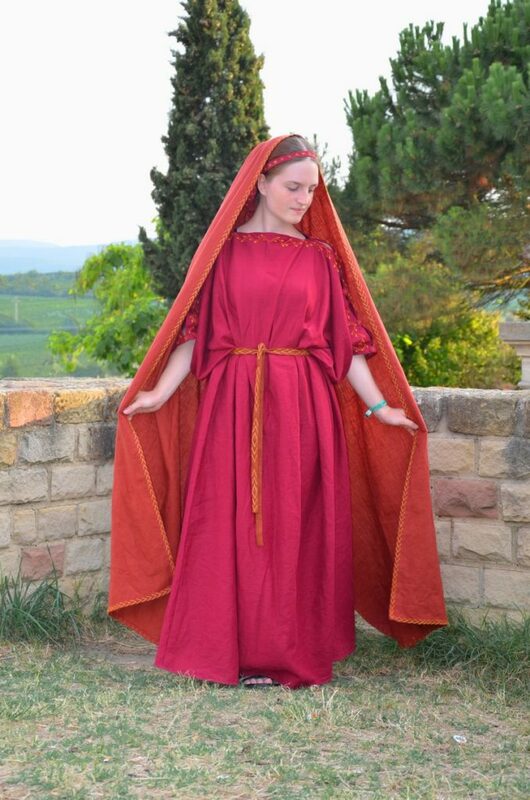 Although I call it a Roman dress, this outfit could as well be used for Greek Clothing, since style did not change much in Ancient times. 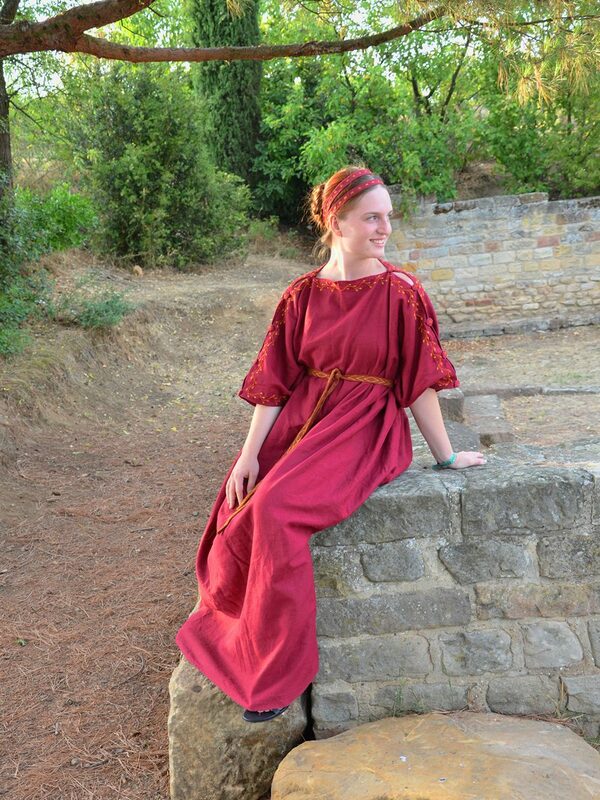 I named it Faustina because I made some studies on Faustina the Younger the time a made this dress. 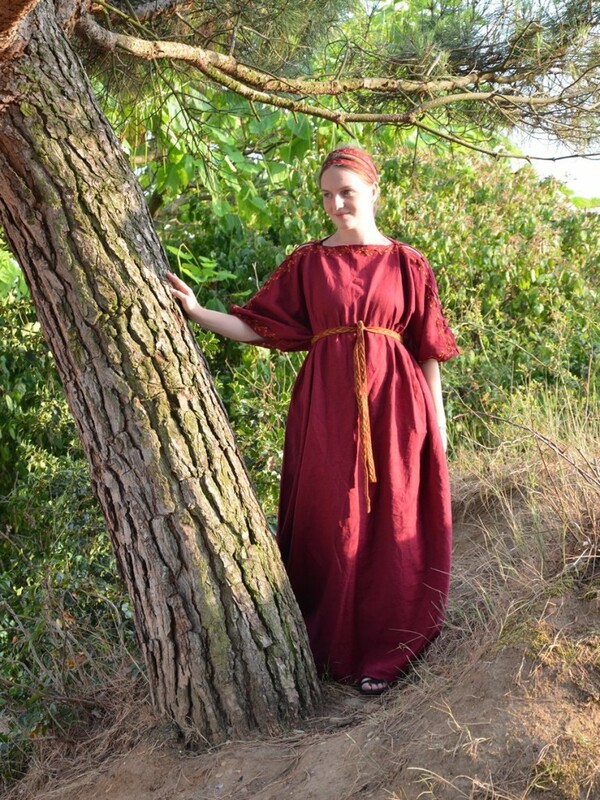 The dress and the palla are made of linen. The pattern consists of quarters of fabric sewn together by hand. I made a How-To on a different page. Although it is in German, you should be able to make it based on the graphics. All in all, I spent 20-25 hours making the dress. Most of the time was used to create the embroidery. In addition, I made a hair band based on coins of Cleopatra of Egypt. 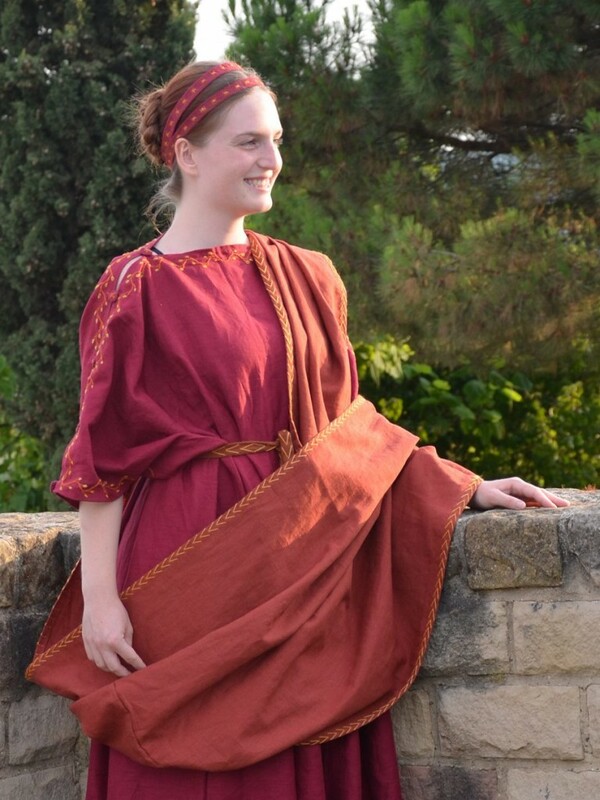 As a result, a Roman garment can be made much quicker when using a machine and leaving away the decoration.